Memphis, TN – The FAST® E7 Programmable Ignition delivers the kind of power and precision required when dealing with the high compression, screaming RPM and power adders used in today’s racing engines. The capacitive discharge ignition provides up to 160mJ of energy and +- ½ degree of timing accuracy. The powerful spark is matched to a multi-strike function below 3,000 RPM, which keeps the engine running clean and crisp. The E7 Programmable Ignition features two adjustable rev limiters, one for high RPM engine protection and one that can be used while staged and waiting for the green light. To ensure the ultimate in reliability, the E7 is also completely encased in soft urethane for protection against vibration and moisture. 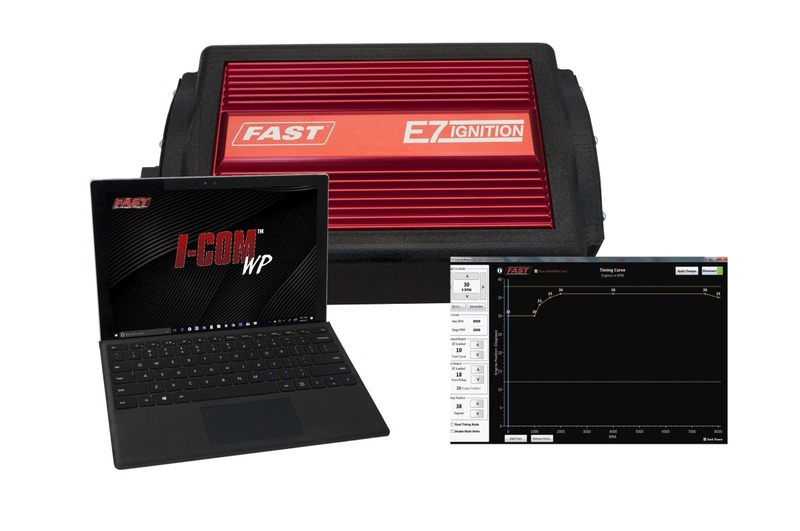 Adjusting the timing features of the E7 is easy with the FAST® I-COM™ software. The easy-to-use interface allows you to create a custom timing curve for your engine, adjust a single stage of nitrous timing retard, and set up to 20 degrees of automatic start retard. The FAST® E7 Programmable Ignition is ideal for any street, drag or circle track application where reliable, powerful ignition is required.